Vivo has added a new ‘Y’ series smartphone to its product lineup in India. 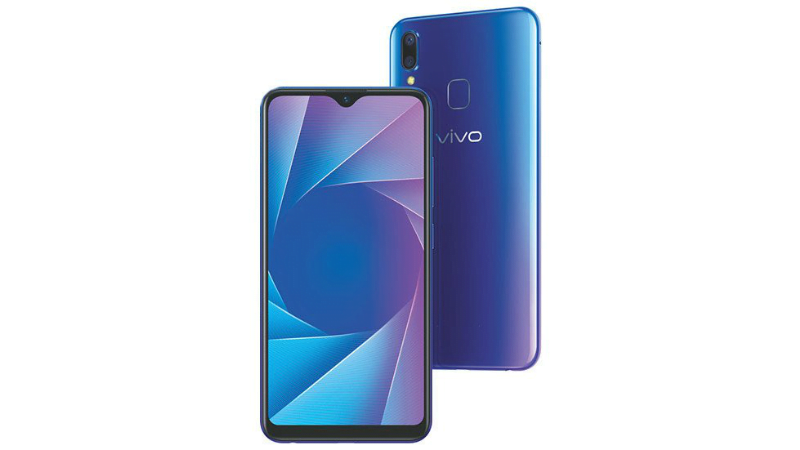 Dubbed as the Vivo Y95, it’s the first smartphone to launch with the latest Qualcomm Snapdragon 439 chipset. For the unaware, the Snapdragon 439 SoC is the direct successor to Snapdragon 435 SoC and sits below the Snapdragon 450 chipset. It’s also first Snapdragon 430 series chip with Dual 4G and Dual VoLTE support. The phone also offers gradient design- something which we have seen on the various Vivo and Oppo smartphones in recent times. The price of the smartphone has been set as Rs 16,900 and it will go against the likes of Xiaomi Redmi Note 6 Pro and Nokia 6.1 in the offline market. The price of the Vivo Y95 is questionable, but do make a note that it’s aimed at the offline market. The Y95 extends Vivo’s lineup of smartphones with waterdrop notch. The phone sports a 6.22-inch HD+ screen and Vivo is calling it as Halo FullView display. At the heart of the phone, we have the Qualcomm Snapdragon 439 SoC, clubbed with 4GB of RAM and 64GB of internal storage. Vivo has added a dedicated microSD card slot for storage expansion up to 128GB. Vivo has launched the smartphone in only one variant and there’s no 3GB+32GB storage variant. The teardrop notch on the front houses the 20MP AI selfie shooter. On the rear side, there are two cameras of 13MP+2MP. As we have seen with various Vivo smartphones, the Y95 also offers various Artificial Intelligence features for both the front and rear cameras. Some of the camera modes include portrait mode, face beauty, panorama, AR Stickers and so on. As for the connectivity options, we get Dual 4G, Dual VoLTE, Wi-Fi 802.11 b/g/n, Bluetooth, GPS and a Micro USB port. The phone is backed by a beefy 4030mAh battery and it runs FunTouch OS 4.5 built on Android 8.1 Oreo. As noted, the Vivo Y95 is an offline exclusive model, meaning it goes against the likes of Xiaomi Redmi Note 6 Pro, Mi A2 and the Nokia 6.1. The price of the smartphone has been set as Rs 16,990 and it can be purchased via offline channels. Vivo also stated that it would be selling the smartphone through the Vivo Online Store. The Vivo Y95 can be picked up via No Cost EMI option on all the credit, debit cards. Furthermore, Vivo stated that the EMI for the handset starts at as low as Rs 1,133. Telecom operator Reliance Jio is into the business as well. The telco stated that it would be providing Rs 1,500 instant cashback vouchers along with 3TB additional data. Moving onto the competitors of the Vivo Y95 in India, it goes against the newly launched Xiaomi Redmi Note 6 Pro. Xiaomi already confirmed the Redmi Note 6 Pro would be available via offline stores very soon and we all know how big is Xiaomi’s retail footprint right now. The Redmi Note 6 Pro has a superior Snapdragon 636 chipset, 6GB of RAM, much better dual rear cameras and front cameras and it’s constructed out of the metal.